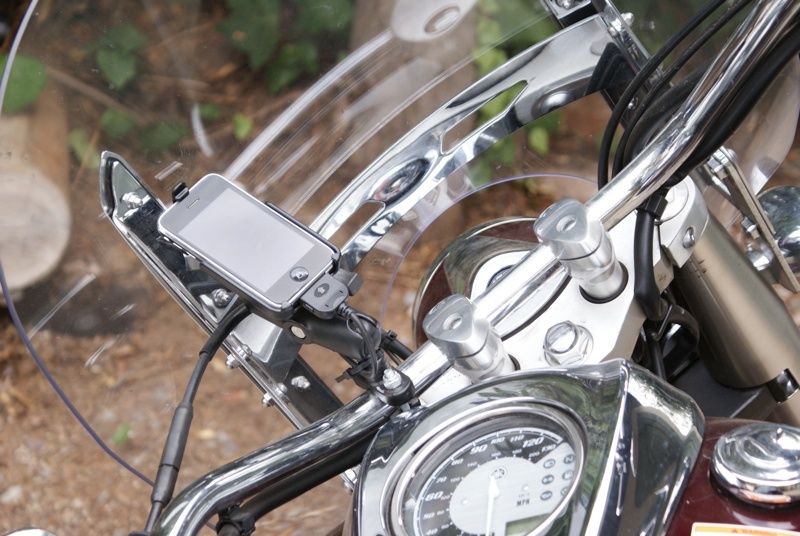 I knew when I bought my Yamaha V-Star motorcycle, I wanted to figure out a way to tie my iPhone into it in such a manner where it was functional. 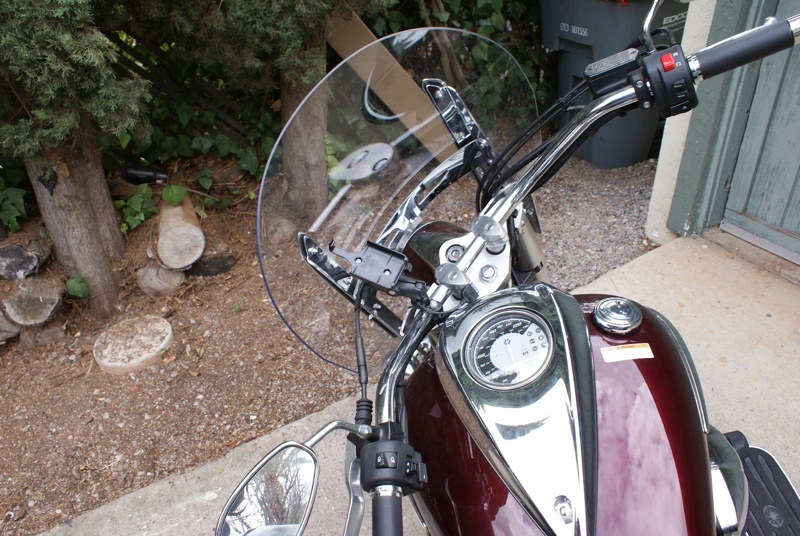 It seemed like a perfect device for motorcycle riding. 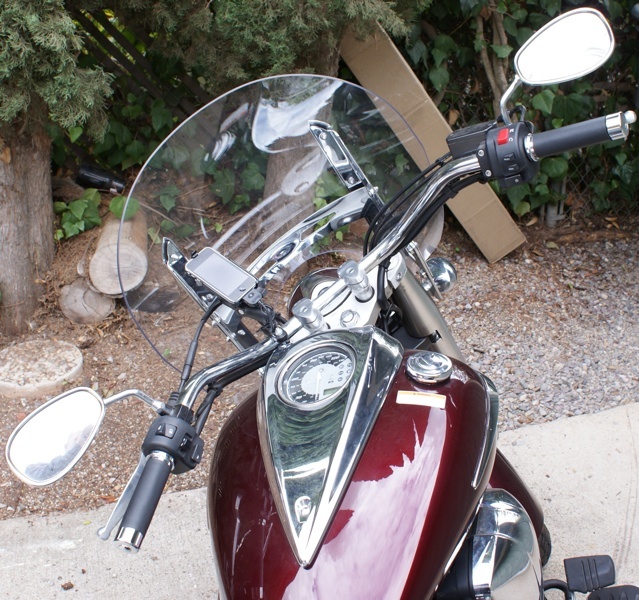 Before I go much further let me just say, "Always ride Safe". I honestly believe that nothing I did here jeopardizes my safety on the motorcycle and this system was implemented with safety in mind. 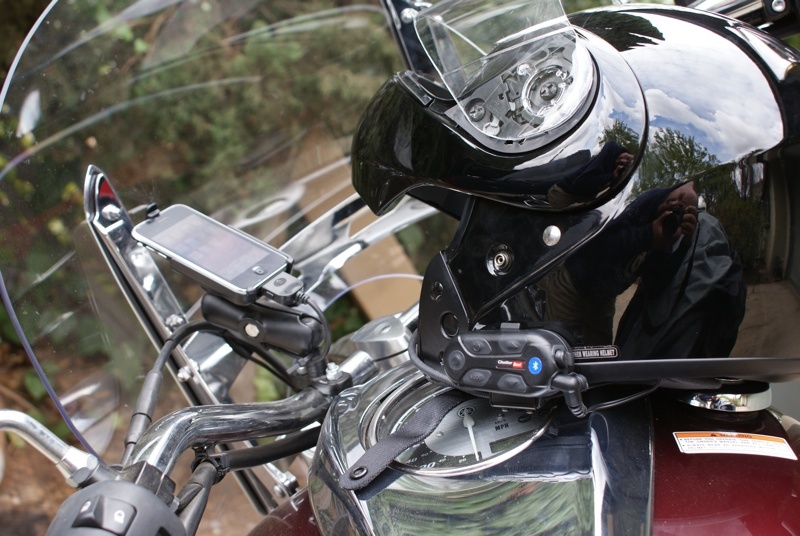 I was surprised to see very few systems out there that allowed you to incorporate your iPhone onto your motorcycle. I came across several people who kind of winged it and threw something together but nothing I wanted to do. My criteria was simple, it had to be clean, functional, and safe. My first purchase was the most expensive one. I purchased two ChatterBox XBi systems at around $200 for each unit. 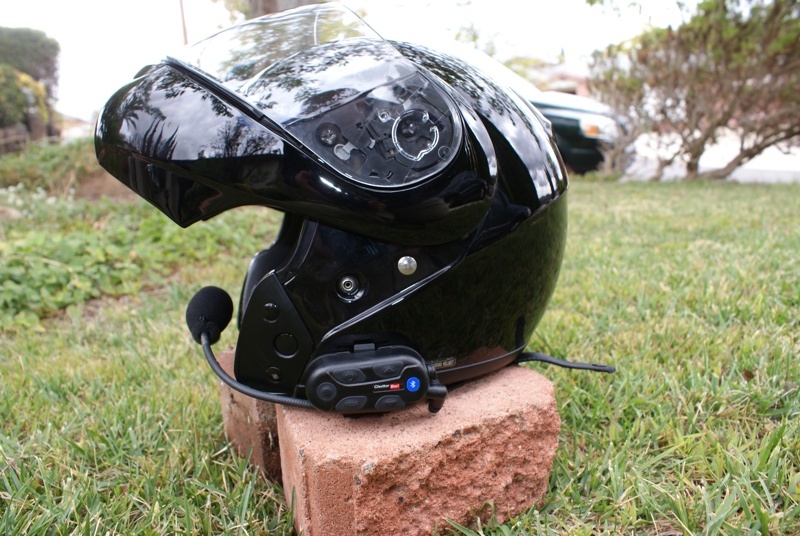 The ChatterBox system ties into your iPhone's bluetooth system and allows you to listen to music and even take phone calls (again please use your head and be safe). I purchased two systems because I wanted to leverage the intercom system but this was not needed for the iPhone integration so you can save some money here. The ChatterBox addressed around 90% of my needs. I could start some music up, throw my iPhone in my pocket and life was good. But I was really looking for more, I wanted my iPhone accessible while I was riding. My next purchase was a RAM handlebar mount (RAM-B-149ZU) and a RAM iPhone cradle (RAM-HOL-AP6U) that ran me about another $40 from Ram Mounts Web site. This combination made a wonderful product. Extremely simple to install and very sturdy. The iPhone latches in there pretty snug and I have never had any problems or concerns about it coming loose. Just a great product. This got the iPhone out of my pocket and it was now accessible and visible. Now I could listen to my music and if someone called I was able to tell who it was and if I need to take the call. I could also start to use other application such as the TomTom navigation app. I still had one problem, long bike rides listening to music, using the navigation, and taking pictures really drained the battery. I didn't want to end up in a situation where it was late at night, broken down, and the iPhone with no charge because I was listening to music. I needed power. Took me awhile, but I found Pashnit Moto who offered a couple of solutions of which I settled on the Apple 3G, 3Gs and iTouch Battery Harness PPC-026-DB which ended up running me around $43. That was all it took and it completely changed my riding experience. I now have music and navigation all in one small device. There are a few drawbacks. For example, the way you have to manually connect the ChatterBox and the iPhone is kind of a pain, seems like they could do a better job with that. Also, when its all said and done, your iPhone is still exposed to the elements. I happen to have a windshield but if you didn't then it would be exposed to all the elements at 80MPH which is probably risky and generally not good for the device. Also certain situations, like navigation, where it would be nice to turn the iPhone to landscape, the RAM mount does allow for this, it isn't as simple as just twisting it back and forth, there is a lot of tightening and loosing that needs to happen.Also, the RAM mount is so snug on the iPhone that there is no room to accommodate and additional case that you might have on the iPhone. But all and all I am very happy with what I have. TomTom Navigation - I debated a long time on this because of the hefty $100 price tag but it is nice having navigation when you are not 100% where you are going. Pandora / iheartradio - I have a pretty good collection of music but these apps allow me to listen to other things when I want. Trapster - Just so I know. OSMTrack - Good for capturing routes taken. Brightkite - The social networking guy in me. I like to pictures and location of where I am. AAA Roadside - Just in case.